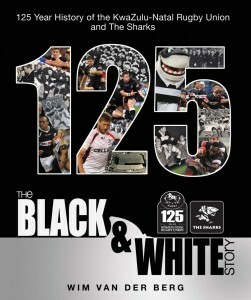 The Black & White Story traces the long and proud 125 year history of the KwaZulu-Natal Rugby Union and their team The Sharks. The Natal Rugby Union, later renamed the KwaZulu-Natal Rugby Union, was founded in 1890 and there have been many heroes in the 125 years. Some of them were players, others administrators; and then of course there were the men who spent hours on training fields with schools, clubs and province, and those who refereed matches at all levels. Natal only won fifty per cent of their Currie Cup matches in their first 60 years and then came the surprise first final in 1956 when a gust of wind cost them the title. It took sixty-six years for the union to enjoy its first Currie Cup final. But the province did produce its fair share of quality players, including Springboks Bill Payne, Wally Clarkson and Philip Nel, who led South Africa on the country’s unbeaten tour of Australia and New Zealand in 1937. Two of those coaches, in particular, turned the fortunes of Natal around in the years before they became known as the Sharks. Izak van Heerden became world-renowned for his tactics and emphasis on skills to play running rugby. This transformed Natal into a real power and also a crowd favourite. And fifteen years later Ian McIntosh identified a (totally different) ‘new style’. This put Natal at the forefront following some lean years and bore fruit when they won the Currie Cup for a first time in 1990. Retold in detail is the wonderful 25 year period following The Sharks first Currie Cup win in 1990 (after being a team playing B section rugby in the 1980s), of the construction of Kings Park Stadium, and how today, The Sharks (previously known as The Banana Boys) have become one of the leading rugby brands in the world. Wim van der Berg is the managing editor of Blou, the official magazine of the Bulls and Blue Bulls. 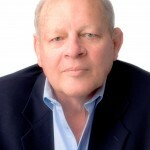 He is a seasoned rugby writer and author and has contributed to numerous magazines and newspapers for the past 40 years. Wim played rugby until he was 57, was a senior club referee, coached rugby at first team level, sat on committees of various clubs, and was manager and coach at provincial sevens level. He has published seven books on rugby: 75 Blue Bulls Legends; True to the Blue; 150 years of Rugby in South Africa;The Extraordinary Book of South African Rugby(all also in Afrikaans); and Great Moments in Currie Cup History and co-authored Blue Bulls: 70 Years of Glory(also in Afrikaans) and A Lions Tale with Gerhard Burger.